Editor’s Note: This article was originally printed in The Hardball Times Baseball Annual 2017. You can purchase a copy of it here. Here’s a little exercise for you. Which teams would you consider to have forward-thinking, stat-friendly front offices? Go ahead, list them off. I’ll even play along. It goes on. Every front office has some sort of analytics department. Even the Royals! Especially the Royals. Major league baseball, overall, has gotten smarter. It’s no longer enough to just hire some smart guy in a suit. Smart guys in suits are everywhere. Any hiring has to be considered in context. In a sense, analytics doomed analytics. At first, they seemed powerful. You could find market inefficiencies everywhere. And so early adopters were able to benefit. But then came the later adopters, and then came the last adopters. Numbers are no less powerful than they used to be, but there’s less relative power to be wielded when everyone’s trying. A given front office now would have a massive advantage over an organization run by a bunch of stubborn throwbacks, but such organizations are so near to extinct they’re almost hypothetical. So the comparison doesn’t have any meaning. That’s the larger trend. That might be the trend, as major league baseball goes. The sabermetric movement has been fully embraced. But I mostly want to talk to you about a similar trend on a much smaller scale. It’s not the easiest thing to prove, but it’s plenty easy to discuss, and I feel it works as a legitimate theory. As analytics arguably doomed analytics, pitch framing seems likely to doom pitch framing. Pitch-framing analysis has been moved to the back burner. It’s a product of the PITCHf/x system, and it was deeply exciting, but many have moved on from PITCHf/x to Statcast, because it’s the shiny new thing, and it’s impossibly informative. “Exit velocity” and “launch angle” have turned into commonplace terms overnight. We’ve already learned so much about hitters. We’ve already learned so much about pitchers. And, importantly, we’re beginning to learn about defenders. Statcast is going to get us places. But pitch framing didn’t go away when the attention did. And, if I can give you some background: Pitch-framing statistics represented a major breakthrough. They were made possible by PITCHf/x around 2008 and 2009, and the greatest public efforts were made by Mike Fast, Max Marchi, Matthew Carruth and Dan Turkenkopf. Maybe you’ve been reading baseball analysis for a few years. Maybe longer. But, maybe not so long. It was groundbreaking stuff. What the numbers indicated was that pitch framing, or pitch receiving, could be worth dozens of runs in a season, by preserving or stealing strikes. More, the different methods mostly agreed with one another, and they tended to show year-to-year sustainability. There was signal, which meant there was talent. The closest José Molina ever came to being a superstar was on the internet. On the internet, he was the face of pitch-framing statistics. According to numbers from Baseball Prospectus, the way Molina caught was worth 36 extra runs in 2008. The next year, it was worth another 19, and then that went up to 24 in 2010. Pitch framing was specifically cited as a reason why Molina wound up with the Rays. Molina always had a talent, but, at last, its real value could be quantified. Not that Molina was the only catcher who stood out. The numbers have also celebrated guys like Russell Martin, David Ross, Jonathan Lucroy and Francisco Cervelli. On the other side, when there are players who are good at something, there have to be players who are less good. The opposite of Jose Molina was Ryan Doumit. Unlike Molina, Doumit could hit. But, as it turns out, Doumit couldn’t catch. His framing in 2008 cost his team an unfathomable 63 runs. The next year, in less time, he cost his team 29 runs. Then 24. Doumit was a defensive negative. The impact was worse than one would’ve imagined. All right, let’s pause. Think about what was happening when the ball started to roll. It was being demonstrated, for the first time, that there were real differences in value among catchers, just based on how they caught. That actually flew in the face of prevailing sabermetric consensus at the time. Evidence mounted as the teams continued to shift toward being more number-savvy. Just in theory, what do you think would happen? You’d think smarter teams would start to seek out good receivers. You’d think, additionally, that smarter teams would attempt to develop good receivers. That’s not as easy as just flipping a switch—that requires a lot of video work, to see what catching techniques help and what catching techniques hurt. But, just in general, you’d think pitch framing would be more heavily prioritized. What happens when something gets prioritized by an increasing number of teams? At first, there were inefficiencies to be taken advantage of. The Rays, for example, got Molina for cheap. Some teams were skeptical of the framing data. Yet, over time, most teams have been turned into believers. Any executive or coach you talk to would agree that catchers have some degree of influence over the strike zone. Now we have well-established numbers for that ability. It’s not anything to be ignored. And when every team wants to get better at something, something that was only recently discovered, you look for the laggards to catch up to the leaders. Every team wants a good-receiving catcher. Every pitching staff wants a good-receiving catcher. Every organization wants to develop good-receiving catchers. And it even feels like something a player can just learn. If a hitter is going to adjust to hit for more power, odds are, that same hitter is also going to strike out more often. There should be no such drawback with attempting to improve how a catcher catches. It’s just learning appropriate technique. Bad-receiving catchers might be helped. Then you’d have a catcher who just made himself better. No downside. Stories have gotten out to the public. 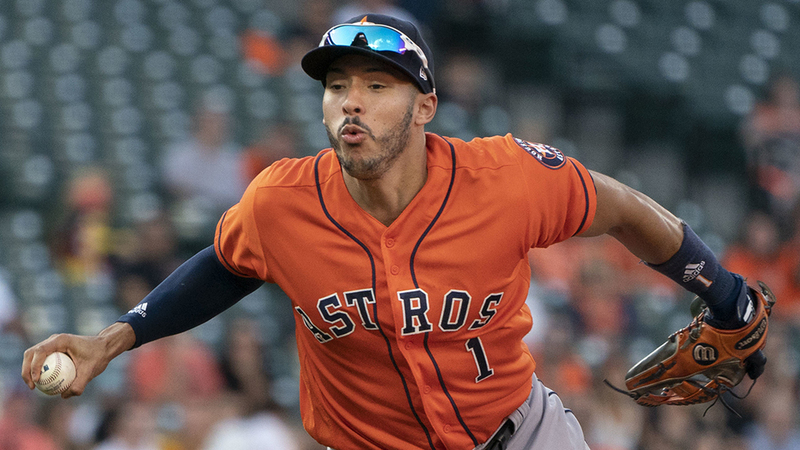 There were articles written about the Astros trying to improve the way Jason Castro caught. There were similar articles written about the Angels and Chris Iannetta and Hank Conger, and there were articles written about the Padres and Nick Hundley. There have been more such stories, and there have been countless additional stories that just weren’t or haven’t yet been written. Teams continue to work on this. The A’s have had a system implemented in earnest for about the last 18 months. No team wants to settle for a Doumit-type catcher anymore. We might as well get to some actual evidence. To this point, it’s all been theory. The theory is that, over time, gaps between teams and catchers should narrow. Bad-receiving catchers should start to disappear, raising the baseline. 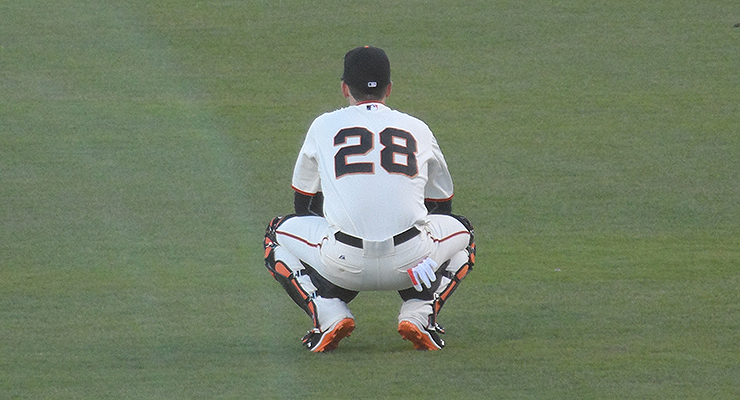 The best catchers, after all, can’t improve much, but the worst ones sure can. The most advanced numbers out there come from Baseball Prospectus, so that’s what I’ve used here. Using its data, I calculated for each catcher framing runs above or below average per 7,000 opportunities, going back to 2008—7,000 being roughly the number of opportunities a starting catcher will have in any given season. In that way, it’s like UZR/150. 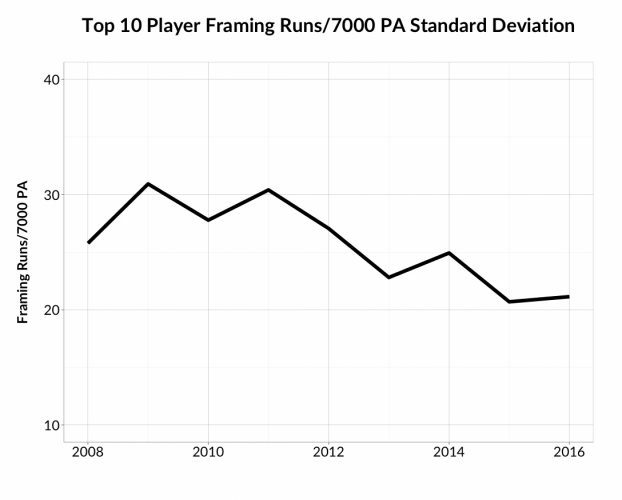 I narrowed to only catcher-seasons with at least 2,000 framing opportunities, and in the plot below, you can see each season’s standard deviations within the catcher pool. There remains, of course, an existing gap between the best and the worst catchers. This is all still very new, as a statistical measurement. But it’s worth noting that the two smallest standard deviations have come in the last two seasons. A smaller standard deviation means a lesser spread. It supports the idea that the gap is gradually getting smaller. As an alternative plot, here’s the year-to-year average of the top 10 framing catchers, in terms of runs above average per 7,000 chances. To mix it up, here’s something on the team scale, now using information from FanGraphs. It’s pretty easy to calculate, for a team’s season, the difference between the number of strikes and the expected number of strikes. Obviously, there would be a relationship between this measure and pitch-framing ability. The more extra strikes a team gets, the better the receivers, and vice versa. 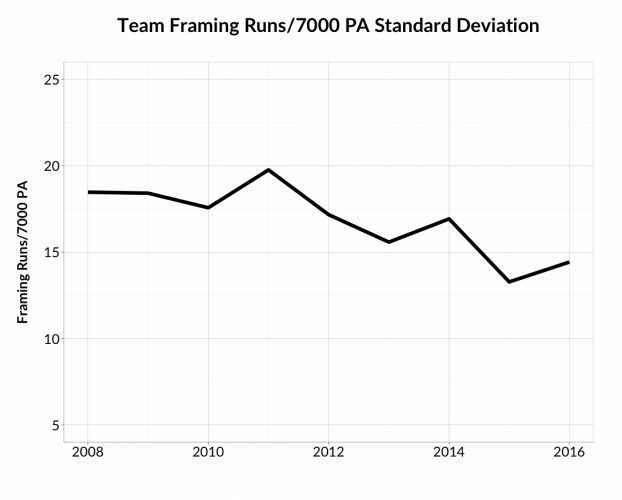 I ran the numbers for every team’s season since 2008, and here are the year-to-year standard deviations. This is fairly striking. 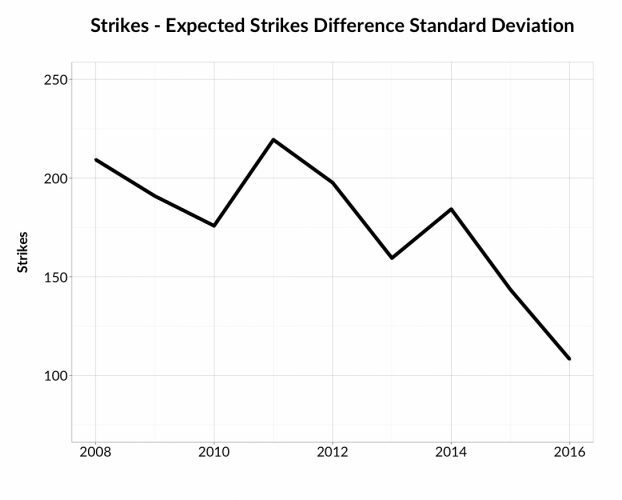 The standard deviation in 2011 was 219 strikes. By 2016, that number dropped to 122, or 56 percent of what it had been. The two lowest standard deviations have come in the last two years. Going back to 2011, the difference between the best team and the worst team was 964 strikes. Last year, the difference was 437 strikes. That’s still a difference. That’s still a pretty substantial and significant difference. But the differences have gotten smaller, which is what we would expect. Should the trend continue, the differences will get smaller still. Perhaps not smoothly, perhaps not year after year after year, but in the big picture the gap should get smaller. Evidence suggests more teams are on board with pitch-framing ability, and as that happens, the best framers have less of a relative edge. Quality pitch framing isn’t going to be rendered irrelevant, certainly not as long as there are humans responsible for calling balls and strikes. But remember the example of a hypothetical old-school, backward front office. That front office might get savaged in the market today, but that front office also doesn’t really exist. Likewise, a truly bad pitch framer would score horribly now. The average only gets better and better. But there just won’t be many truly bad pitch framers. When everyone is a good receiver, no one is a good receiver. As long as there are umpires, and not robots, there will be a gap. We will never see a day when every single catcher in baseball is identically good at catching pitches. It is a skill, and only so much can be taught. Yes, anyone can improve his forearm strength. Yes, anyone can improve his wrist strength, and the way that he positions himself behind the plate. These are fundamentals. But there’s an instinct component. There’s anticipating where pitches are going to go. Taller catchers will be better up in the zone; smaller catchers will be better down in the zone. It’s not realistic to believe the average draft pick can be coached into becoming another José Molina. Some of that ability was innate. But some of it wasn’t. Some of that ability can be coached. Maybe even much of that ability. And now that that ability can be recognized, it could end up selected for, in drafts and internationally. Teams are running out of excuses for having lousy receivers, and eventually, it stands to reason any advantages are going to be slight. Maybe the gap between the best and worst catchers gets trimmed to 20 runs. Maybe it gets trimmed to 10. It’s nothing that will happen overnight, but it looks like the process is already underway. Pitch-framing numbers answered questions we didn’t know we had. A new statistical category emerged out of nowhere, and before long, the research proved its own worth. That was the birth of the revolution. Every team now wants good-receiving catchers. Every team, additionally, wants to develop more good-receiving catchers. The market is going to end up flooded with good-receiving catchers. By then we’ll no longer recognize them as good-receiving catchers. Pitch-framing is sufficiently important that baseball teams will prioritize it right into insignificance. I’d go a step further. The umpires have heard about pitch framing too, and so you have to assume they’ve been trying to teach themselves not to be fooled by it. Hasn’t the called strike zone been getting closer to the rulebook in the past couple years? Good. I also immediately thought about the umpires. The umpires think individually and share data. The umpiring schools are probably teaching this issue by now, so we can expect to see new umpires coming up in the near future who are more consciously and more adeptly correcting for catchers’ pitch framing. Time will tell. There will also be umpires who will actually over-correct against the more eager pitch-framing catchers. I expect to hear more about this in the coming years. Most framing gains have happened inside the zone. It’s not mostly a case of “umpire gets duped into calling a strike outside the zone” but rather “good receiving allows the umpire to be more convinced of actual strikes near the edges”. It was the bad receiving that was turning strikes into balls. … seems overstated to me. I mean, we’ve all known that home runs are important, and baseball teams haven’t prioritized it into insignificance. The relative impact of homers isn’t what it was when Babe Ruth was outhomering entire teams, but its still massive. Pitch framing starts out less significant than Ruthian homer discrepancies, and you’ve convinced me that it is shrinking some, but will it really shrink to insignificance? I’m not so sure. Maybe there aren’t any 50 HR hitters anymore, but there are a lot more players with at least 20. We’ve come to expect that good players walk and hit HR at reasonable rates (20+). I think that’s what Jeff is talking about in that sentence. We should come to expect better pitch-framing catchers everywhere, starters and bench, especially with the modern emphasis on rest. A catcher will be still noted for his or her arm, but not so much as in the past few years for his or her framing skill. Won’t pitch framing become obsolete when they automate the strike zone? 1) Framing has received so much attention in part because fielding stats for catchers were and are inadequate – just % CS still matters but doesn’t get as much attention as when it was the only stat. 2) One problem with framing is that (as Michael implies) it’s actually cheating, sort of, in that it fools the ump rather than the batter. Steps to avoid it, whether by human umps or automated replacements, amount to more effective enforcement of the rules. I agree that umpires are almost certainly more aware of pitch framing than they used to be, but a catcher who sweeps his mitt outside the strike zone is still going to make it more difficult for an umpire to see the pitch as a strike than a catcher who holds his glove in tight to the plate. I also agree that the difference between will continue to shrink. So, there was a direction I kept expecting this article to go, and it never quite did. There’s evidence that the spread between the best and worst pitch framers is narrowing. This is taken as evidence that the average catcher is getting better at pitch framing. Do we have more direct evidence of that? Namely, are pitchers getting more strikes? One of the big stories the past few years has been the marked increase in strikeouts. Has anyone attempted to determine how much of this increase, if any, is due to improved pitch framing? I really expect a followup article or more than one over time looking at this issue from the umpirical point of view. I’m family with one of the best graded MLB umpires the last handful of seasons, and I can confirm that they are keenly aware of the framing data, that they’ve been consistently improving league correct % on ball/strike calls. From what I’ve heard, they are grading out @ better than 95% consistently now. As “good” pitch framing becomes the norm, won’t the number of strikeouts league-wide only continue to increase? It seems eventually MLB will narrow the zone to try to bring some balance back between pitchers and batters. In that case, would there be even more of a premium on pitch framing? I loved the sabermetrics era when the stat geeks laughed at coaches that insisted catcher defense mattered. Glad the stat geeks finally caught up.